Tate, the group of four galleries, has hired The Brooklyn Brothers to handle its advertising account after a pitch. Brooklyn Brothers beat competing shops DDB UK, 18 Feet & Rising and the design company Pentagram to win the business. The review, which was conducted by Marc Sands, the Tate director of audiences and media, kicked off after the company and its previous incumbent Fallon parted ways in September. Fallon was appointed to the business in November 2004 and went on to produce award-winning work such as the print executions "hungover", "gig meeting" and "split up", which won a Grand Prix in the Outdoor category at Cannes in 2006. The agency's "Tate movie project" work was lauded at this year's Campaign Big Awards with a Gold award. 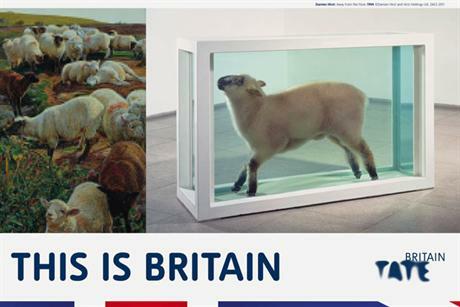 In March this year, Fallon launched an outdoor campaign for Tate Britain called "this is Britain" to highlight the gallery's role as the home of British art from 1500 to the present day. Sands said: "We selected The Brooklyn Brothers because they have a forward thinking and original approach to communicating art to our audiences. I’m looking forward to working with them on our future campaigns with an aim to broaden the range of audiences who experience art."